And fellow Brexiteers need to be aware of “irrational positivity”, he said. 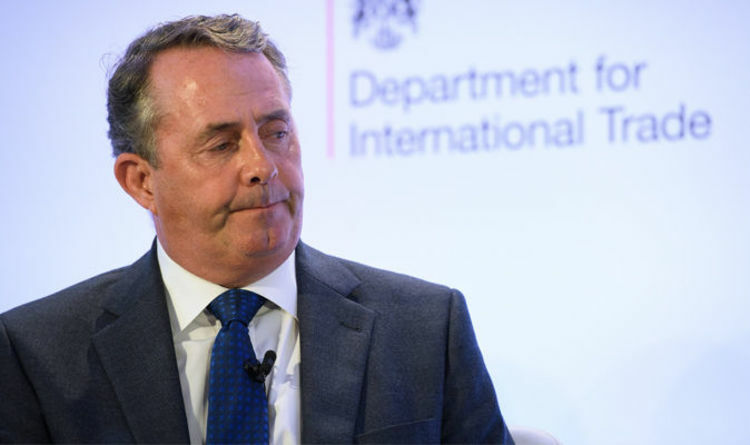 While Brexit offered a lot of opportunities it will still have “buffeting pressures in the global economy” and the Government won’t be able to control it, Dr Fox said. He added: “We have got to be rational and say that everything will not be wonderful because we are leaving the European Union. “We have to say there are great opportunities that come from Brexit but that is not a guarantee that everything is going to be rosy on the other side. His remarks will be seen as a rebuke to Boris Johnson who has repeatedly called for a “glorious vision” for post-Brexit Britain. They also show concerns among the Conservative right that the UK will seek economic growth from free-trade deals at a time when the world is becoming protectionist. In the podcast interview for The Truth Trade website, he also made clear his support for Chequers. He said: “We’ll see what happens. “A lot of the Chequers deal is very challenging to the European Union. “They have said they will offer Britain a much better deal than any other country but they will not offer a deal that compromises their current institutional relationships. We have to wait and see what that means. The Brexiteer, who was one of six Cabinet ministers to sign up to Chequers, also sharply criticised Vote Leave. He said: “I was never particularly comfortable with the numbers.